A small revolution is remaking the world. The only problem is, we can't see it. This book uses dazzling images and evocative descriptions to reveal the virtually invisible realities and possibilities of nanoscience. 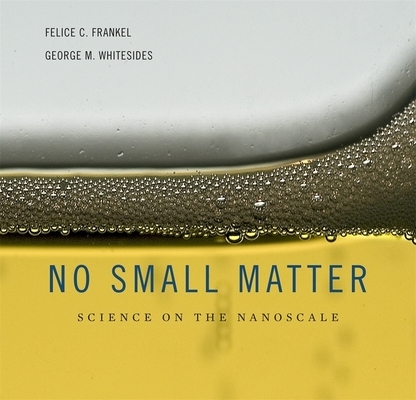 An introduction to the science and technology of small things, No Small Matter explains science on the nanoscale. Authors Felice C. Frankel and George M. Whitesides offer an overview of recent scientific advances that have given us our ever-shrinking microtechnology--for instance, an information processor connected by wires only 1,000 atoms wide. They describe the new methods used to study nanostructures, suggest ways of understanding their often bizarre behavior, and outline their uses in technology. This book explains the various means of making nanostructures and speculates about their importance for critical developments in information processing, computation, biomedicine, and other areas. No Small Matter considers both the benefits and the risks of nano/microtechnology--from the potential of quantum computers and single-molecule genomic sequencers to the concerns about self-replicating nanosystems. By making the practical and probable realities of nanoscience as comprehensible and clear as possible, the book provides a unique vision of work at the very boundaries of modern science.